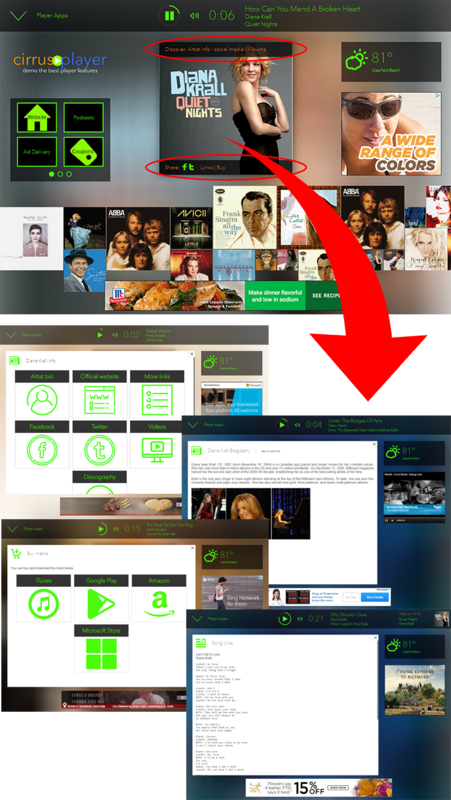 Fully interactive hyper-media player with endless song and artist data plus auto playlist. Listeners can fully engage and learn everything they ever wanted to know about any artist. As an HTML5 responsive player, it looks great on all desktops and devices.